Use after cleansing and toning, as part of your personalized skincare program. Hydrates skin leaving it smooth and fresh. You will have to take the risk. Suitable for all skin types, particularly dry skin. Trending at C $19.38eBay determines this price through a machine-learned model of the product's sale prices within the last 90 days. REVITALISING BODY GEL CREAM. Full of oceanic minerals, Atlantic seaweed is infused in a water-breaking cream that instantly refreshes skin in hydration. ATLANTIC SEAWEED CREAM. Use as Step 3 in Spa of the World's revitalizing ritual. Vitamin C Instant Glow Enhancer 25ml /. 84 oz. Revitalize your skin and give it a healthy looking glow with our Vitamin C Instant Glow Enhancer. This product is skin care and makeup in one, giving your complexion a fresh tint while smoothing your skin. It has british rose body yogurtop. Boost Glow: Skin Is Clarified, Revealing Your Natural Healthy-Looking Glow. Infused With Our Amazonian Camu Camu Berries, Which Have Up To 60X The Vitamin C Power Of An Orange. 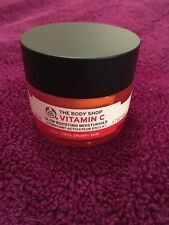 BODY SHOP Vitamin E Nourishing Night Cream 1.67oz/50mL Full Sz - NEW, FREE SHIP! It leaves skin feeling soft and smooth. Best for all skin types. Vitamin E Nourishing Night Cream. Now formulated with vitamin E, plumping hyaluronic acid and wheatgerm oil. Use as part of your evening personalized skincare program. This rich and creamy Shea Body butter easily absorbs into skin helping to condition, soften, and smooth while preventing dryness. 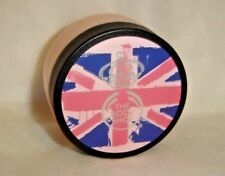 Delicious, creamy, and decadently thick, indulge your skin in a deliciously natural scent. 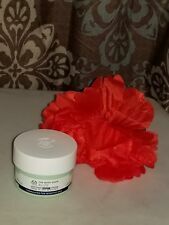 NEW THE BODY SHOP VITAMIN E MOISTURE CREAM, 1.7 Oz. All Skin Types. Thank you for looking! Trending at C $34.73eBay determines this price through a machine-learned model of the product's sale prices within the last 90 days. Our light and refreshing Atlantic Seaweed Gel-Cream instantly hydrates the skin, while revitalizing the body and mind. Full of oceanic mineral, the seaweed ingredient is known to help revive. Community Trade Olive Oil from Italy. Containing nourishing Vitamin E to hydrate & leave skin feeling. Because this cream is quickly & easily absorbed it won’t clog your. Suitable for all skin types, particularly dry skin. FOR ALL SKIN TYPES. Dermatologically approved and clinically proven as suitable for sensitive skin. Our Community Trade partners in Guatemala grow the aloe without using pesticides, then it is hand-picked, washed and processed within 12 hours to maintain freshness. What you see in the picture is what you get. Nothing else is included! Location: 0S15-06. LOW PRICE! Why buy through us?. Have an issue?. Authentic and Genuine. Revitalize your skin and give it a healthy looking glow with our Vitamin C Instant Glow Enhancer. This product is skin care and makeup in one, giving your complexion a fresh tint while smoothing your skin. GET TO WORK ON ANY PROBLEM AREAS WITH OUR FACIAL EXFOLIATOR AND PORE PERFECTOR. Balances excess sebum. 100% Vegan. - Developed to give sensitive skin extra care, our gentle, velvety aloe night cream nourishes, softens and soothes. - Soothing night cream. The Body Shop The Body Shop Vitamin E Night 50ml Women. Developed to give sensitive skin extra care, our gentle, velvety aloe night cream nourishes, softens and soothes. Soothe and calm sensitive skinwith the power of Aloe Vera. For dull, tired, grumpy skin. This fresh, lightweight gel formula will give your skin a daily boost of radiance and hydration. With vitamin C, it awakens and clarifies your complexion, revealing a natural healthy looking glow. Gently buff away dull skin cells. This daily radiance-revealing facial wash cleanses and exfoliates skin in one step. Leaves skin feeling fresh and smooth. The Body Shop Vitamin E Moisture Cream Mini Travel Size 15ml/0.5oz - NEW! The Body Shop Vitamin E Moisture Cream Mini Travel Size 15ml/0.5oz - NEW! . Condition is New. Shipped with USPS First Class Package. 5 out of 5 stars - The Body Shop Vitamin E Moisture Cream Mini Travel Size 15ml/0.5oz - NEW! 14 product ratings14 product ratings - The Body Shop Vitamin E Moisture Cream Mini Travel Size 15ml/0.5oz - NEW! With vitamin E. With Community Trade shea butter from Ghana. Suitable for all skin types, even dry skin. HOW TO USE. Now formulated with vitamin E, plumping hyaluronic acid and wheatgerm oil. Especially suitable for very dry skin. Leaves skin feeling fresh, silky-soft and looking more radiant. With vitamin E. With Community Trade shea butter from Ghana.